Bassendean participated in both World Wars, and, as a working-class suburb, it was severely affected by the 1930s Depression. It saw rapid population growth with the migrations of new residents from Britain, Europe and Asia during the post-World War II period. Through it all, Bassendean has retained its strong sense of identity and community, to become the thriving township it is today. Archaeological evidence has shown that Aborigines inhabited the Bassendean area for over 30,000 years before James Stirling and his exploratory expedition arrived in Western Australia in 1827. The Town has numerous sites of cultural significance to the Nyungah people, and the importance of Bassendean for Nyungah hunting and gathering activities, and as a meeting place for the various tribes, is affirmed in many documents and personal narratives from the 1830's to the present-day. After the colony's foundation in June 1829, the fertile alluvial flats along both sides of the Swan River, including Bassendean, were chosen as prime agricultural land. Settlers acquired parcels of land and farms were established. By July 1831 Guildford needed to expand elsewhere as its town lots had run out. Across the river and to the west was a Government Reserve and this was selected for a new townsite and called West Guildford. Peter Broun, the 1st Colonial Secretary, took occupation in 1832 of Stoke Farm in West Guildford and of its existing homestead. He named the dwelling Bassendean after the name of his family seat in Berwickshire - in 1922 when West Guildford cut its residual ties with Guildford, Bassendean was the new name chosen. Initially populated by gentleman farmers and Pensioner Guard families, West Guildford grew rapidly during the goldrush years of the 1890's, breaking away from Guildford to become a separate local authority in 1901. In the 1900's, the establishment of industries, and the demand for labour at the Midland Railway Workshops, gave the suburb its distinct working class character and further accelerated its development. Post-World War II emigration saw an influx of European nationalities, giving Bassendean a more cosmopolitan flavour. The town has several significant historical buildings, eleven of which are on the State Register of Heritage Places. These eleven places are Bassendean Oval Entrance Gate, Daylesford, Earlsferry, Guildford Road Bridge, Bassendean Oval, Bassendean Oval Grandstand, MacDonald Grandstand, Bassendean Fire Station (fmr), Success Hill Lodge, Pensioner Guard Cottage and Bassendean Masonic Lodge (fmr). Additional places for inclusion within the state register can be nominated for assessment by members of the public by contacting the State Heritage Office. At a Local Government level, our Municipal Heritage Inventory (MHI) identifies local heritage assets in a systematic fashion, and provides the base information needed for local heritage planning to achieve consistency, strategic direction, and community support. 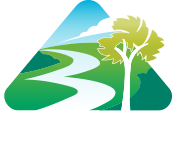 The Town of Bassendean Municipal Heritage Inventory was adopted in 2017. The Town’s MHI and a quick information sheet on the MHI are available to view or download from the links below. Alternately, the MHI may be viewed in hard copy at the Town’s Customer Service Centre at 35 Old Perth Rd, Bassendean, and the Bassendean Memorial Library. Built around 1856, it is the only surviving cottage of four built in West Guildford to house the families of those Enrolled Pensioner Guards stationed at Guildford. It is also the only Pensioner Guard Cottage still existing in the Perth metropolitan area. The Pensioner Guards, retired soldiers of the British Army, were employed to guard convicts and to carry out other military duties. Owned by the Town of Bassendean since 1988, Pensioner Guard Cottage is opened on the last Sunday of each month (February to November) from 1.30-4pm by the volunteer members of the Bassendean Historicial Society Inc. A gold coin donation is appreciated. Partners in the preservation and support of Bassendean's history are the Bassendean Memorial Library's Local Studies Collection and the Bassendean Historical Society. Explore these links for more information about our history.